Rainbows color is not going anywhere anytime soon. Even though we love a great colorful appearance, a full-on spectrum of colors on our cherished hair is not something we want to commit to permanently (Showing up to work on a weekday with colored hair is not for everyone). However, Clairol's new color crave hair makeup allows you to have your rainbow treat on the weekend and be completely ready for work on Monday. The new hair color comes in six shimmery hues with a squeezable applicator. The tip matches that of a K-beauty cushion blusher and produces a rich amount of color to your hair strands. You select and decide exactly where you want the colors to go and then apply. Once your hair takes the appearance you want, dry the color with a blow dryer to strengthen it. 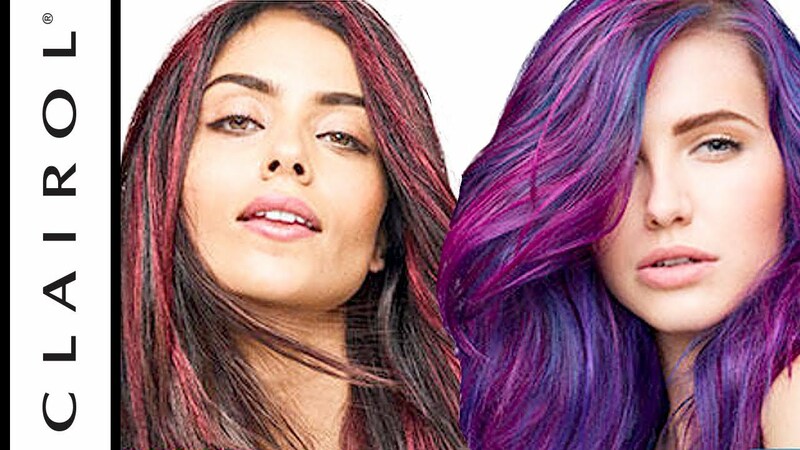 The choices are unlimited for styles: you can create dip-dyed tips, streaks, and even a full rainbow style. Numerous color options exist; they include Brilliant Ruby, Shimmering Rose Gold, Shimmering Platinum, Brilliant Amethyst, Shimmering Bronze, and Shimmering Copper. You can build the intensity of the colors too, squeeze out more for a bolder look and less for just a touch of color. These hues are safe for every hair type and color. When the party is over, all you will need to do is to shampoo out the ammonia, peroxide, and parable-free color and your hair will be perfectly back to normal. It does not damage or stain your hair, and it is that simple to use. The product has been tested, and you can be sure that what you see is what you get. For all hair color enthusiasts, this is an ingenious, washable way to play around with color without making any permanent commitments.